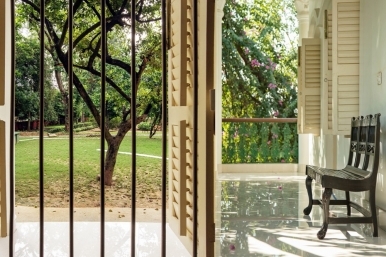 The Garden Bungalow is an Eco-Heritage Concept Hotel and NOT a corporate Hotel. Our Endeavour is to offer our guests a unique Vintage experience through our architecture, ambience and furnishings. Thus, services and Facilities are Different from corporate hotels. 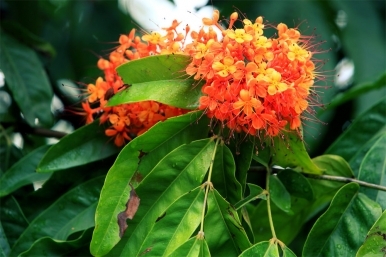 Please note that Shantiniketan is located in the rural country side of a developing country and life around here is very different from a metropolitan city or a developed country. In case you have expectations beyond rejuvenating in the serene country side and cherishing the vibes of a bygone era and Rabindranath Tagore’s Blissful Legacy, kindly enquire with the management about possibilities. Kindly go through the following details about the property, timings and services carefully before booking. Kindly enquire with the management about the availability of specific facilities/services that you might have in mind. In case you are making a booking for some one else, or are doing so for a large group, we suggest you share this PDF file with all those who shall be checking in so that expectations of the guests about what is being offered is not misplaced. So as to ensure a genuine experience of rural Bengal and as a part of our social responsibility, Guests are hosted by people belonging to the ethnic tribal and peasant communities of Birbhum, West Bengal, whose services are more heartfelt than professional/ Corporate in nature. This offers an opportunity for travel enthusiasts to explore the local culture. At the same time, the ethnic population gets an exposure to the cultures that the guests come from. As a part of our "Green Initiative" we do not use diesel generators as they cause noise and air pollution. Instead we use battery backup. Therefore, air conditioners, geysers and other heavy electronics will not be available on power back up. Lights, fans and other essentials will function normally. Cancelation Policy: All advances made for bookings are Non-refundable. If 100% advance for a booking is made, in case of cancellation form the end of a guest, the guest may choose an alternative date for check in within a period of one year from the date cancellation. Please note that the request for rescheduling the booking is totally dependent upon availability of rooms in the hotel on those dates. Cancelled Booking dates will not be rescheduled on dates between 20th December to 10th January and Holi dates. In case only 50% advance is made by a guest, the provision of rescheduling the booking does not apply. Bar facility is not offered but we allow Personal Liquor, which however needs to be consumed strictly inside the respective rooms of the guests. Members of the management will not assist any guest in procuring liquor. Drivers and Helpers accommodation charges do not include complimentary breakfast unless specified. The order for lunch needs to be placed latest by 10:00 am. The order for breakfast for the following day has to be placed by 10.00 pm of the present day. Lunch timing is tentatively from 1.30 pm to 3.00 pm. Dinner timing is tentatively from 8.30pm to 10.00 pm. Breakfast timing is tentatively from 8:00 am to 10:00 am. All services including the reception conclude at 10.00 pm. Services resume at 7:00 am. Emergency services are available round the clock. All the above-mentioned timings might not be flexible. Requests for serving food items other than those mentioned in the menu card might not be accepted. Pictures depicted in the website might differ from the actual rooms and other amenities/facilities. It is mandatory for all adult guests to present their valid identity cards at the time of check-in. Pan Cards will not be accepted as valid i.d cards. International guests must present their valid passport and visa. The management is not responsible for any loss of personal belongings of the guests during their stay at The Garden Bungalow. 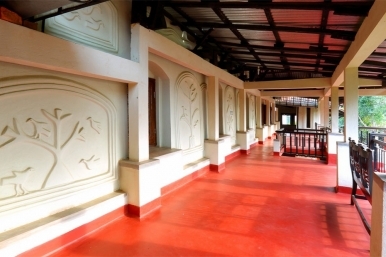 The management will not be responsible for any physical or mental injury or ailment caused to the guests during their stay at The Garden Bungalow. Parking is completely at owner’s risk. The management is not responsible for offering any service/facility outside the premises of The Garden Bungalow nor is it responsible for any situation, whatsoever, faced by guests outside the premises. After receiving an advance, the management can cancel bookings at any point of time. In case of any cancellation from the side of the management, the management will provide full refund. However, the management will not be responsible for relocating the guests. Room Tariff cannot be altered after confirmation of booking regardless of the number of guests who arrive for check in. Smoking is strictly prohibited in the lounges of the property. Pets are strictly not allowed. 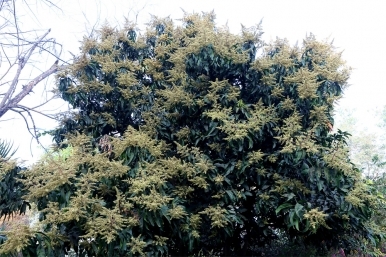 Plucking fruits and flowers in the garden are strictly not allowed. Management has the authority to levy a fine on individuals found doing so. The management has the right to expel guests from the premises for unacceptable and criminal activities/behaviour. Damage caused to any belonging of the hotel needs to be paid for at the time of check out. It is requested that guests keep their children under supervision. The Bungalows are furnished with several fragile and irreplaceable items. Furnishings damaged by children will be charged for. In case guests are accompanied with children with bedwetting issues, the management must be informed so as to enable it to make proper provisions. Any damage caused to the beddings due to bedwetting will be charged for. Playing with any kind of outdoor sports accessory inside the buildings is strictly prohibited. Services like arranging fire place, calling cabs, car wash, laundry services etc are completely dependent upon availability of human resource and goods. Any form of advance payment to confirm a booking or any such correspondence between guests and management through calls, e-mail, WhatsApp, messages or any other medium shall be regarded as a proof of the guests being aware of and agreeing to all the above information. Bookings made through travel agents will also be regarded as acknowledgement and acceptance of these terms. I just love the ambience of this place. Staying here was the most mesmerizing experience of my life. If I find time, then I will visit this beautiful Bungalow again. The lust green garden and the cosy environment are the most lovable features of The Garden Bungalow. The soothing ambience make this place a perfect destination to spend some quality time. Amazing sculpture, decoration and mind blowing structure of Garden Bungalow makes it a best destination for festing. Love to stay here. 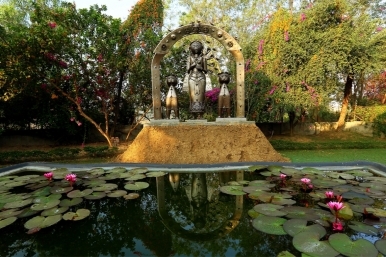 The Garden Bungalow, together with a Mud- House and several installations standing in the lush green garden is a soothing blend of the efforts of a sculptor, a painter and a gardening enthusiast, all three vastly varying in their thoughts surrounding the ideal essence of Shantiniketan and about Tagore legacy.